So close, Jim. So close. U.S. Ryder Cup captain Jim Furyk announced changes Wednesday that will affect qualifying and captain's picks for the 2018 event in Paris, France. The main tweak involves the selection dates for his four captain's picks. Three of his picks will come after the second FedEx Cup Playoff event, the Dell Technologies Championship, and the final pick will be made after the BMW Championship a week later. Last year, captain Davis Love III made three captains picks after the first playoff event and his final selection after the Tour Championship, which finished just five days before the first competitive day of the Ryder Cup. The previous system, especially the last-minute pick, wouldn't work for 2018, Furyk says. Not with an overseas flight and all that comes with preparing for an event outside of the states. 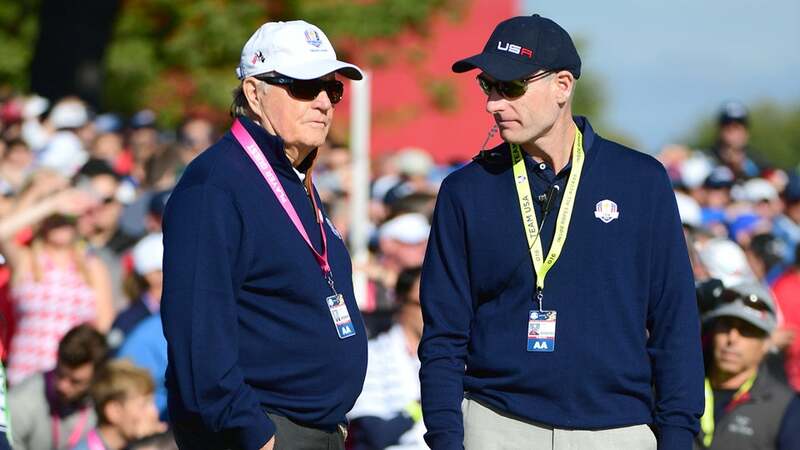 "We have passports, travel to Europe and I feel like the timing, we probably want to get it done a little earlier and not put those guys through that at the Tour Championship again," Furyk said. "I think it's wise, as well, for the captains to be discussing parings on the night before we leave, rather than who our next captain's pick is going to be." While making the final pick prior to the Tour Championship will prevent a surging player from making the team, if they aren't already on it — like Ryan Moore last year — it will give the entire team an extra week to bond, Furyk says. "We saved that one pick for after the BMW to identify a hot player, if we have one," Furyk said. "I think that still gives them the opportunity two weeks to prepare for the Ryder Cup, but it also gives them one week at the Tour Championship to be welcomed by their teammates and to be incorporated into the team and all the conversations." The other minor change announced Wednesday was to the qualifying points system. Major wins in 2018 will be worth just as much as previous years (two points instead of one for every $1,000 earned). All other players who make the cut will get 1 1/2 points per $1,000 earned, a decrease from 2 points per $1,000 earned for the 2016 Ryder Cup. "Major championship purses are so large … they become weighted triple or a little more than a PGA Tour event," Furyk said. "So when I looked at the finishes, if you finished third in the major championship, you earned more points than a winner in a PGA Tour event. And I really value winning. I want the guys that hit shots down the stretch, that have the guts, the fortitude, the game to win golf tournaments. And I find winning very, very important. So, winning a PGA Tour event with a strong field, to me, is more important than finishing third at a major championship." The top eight players in the points system after the 2018 PGA Championship will automatically qualify for the team.